The Espace will be Renault's halo model in China. SHANGHAI -- Renault is betting on more SUVs and SUV-styled vehicles for further growth in China. The French automaker will begin importing its Espace crossover-styled compact minivan as a halo model and may build its Captur subcompact SUV locally, said its head of China operations, Francois Provost. The push comes despite Provost's expectation that SUV sales are nearing their peak in China at just under 40 percent of total passenger car sales. "I expect still a little bit of growth, then probably the weight will be stable," Provost told Automotive News Europe on the sidelines of the Shanghai auto show earlier this month. Renault imports the Captur into China but could build it at its Wuhan plant to avoid expensive import tariffs. Captur sales in China are very small because it is imported, Provost said. 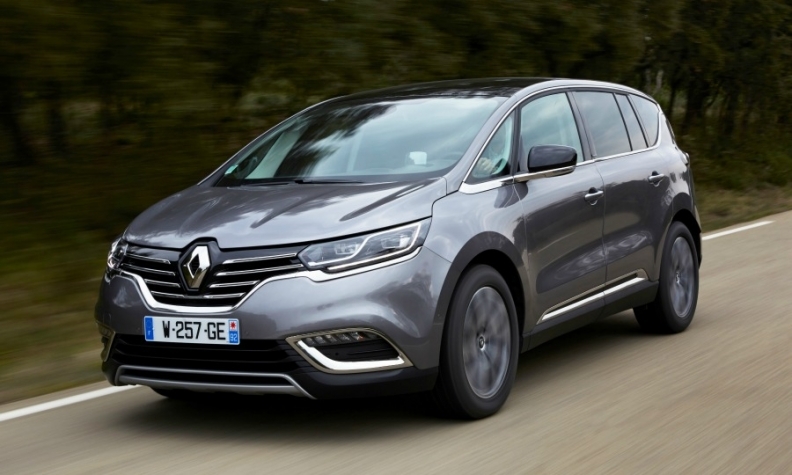 Renault will import the Espace to offer an alternative to local models in the expanding market for seven-seat vehicles. The model's minivan flexibility and crossover styling could appeal to wealthier Chinese buyers, who often have a driver so need a vehicle with lots of room. Renault opened its only factory in China in January of last year with joint venture partner Dongfeng Motor. Production started with the Kadjar compact SUV, with output of the Koleos midsize SUV added in November. Renault sold 14,189 vehicles in China in the first two months, making it the 43rd largest automaker in the country, according to data from global sales aggregator Bestsellingcarsblog.com. Provost expects sales of 70,000 this year, but said the brand could be doing much more. However, Provost said the cost of import duties will restrict sales of the Espace. Instead the car will be halo model to increase Renault's visibility. "It will be used as a marketing tool to expand the brand," he said. At the 2016 opening of the Wuhan factory, Renault-Nissan Alliance CEO Carlos Ghosn said Renault targets a 3.5 percent market share in China, without giving a timeframe. Renault has the ability to double the factory's capacity to 300,000 by installing a second production line. The company said in 2016 that it also planned to build sedans at the plant, likely the Talisman midsize model. Currently Renault has a license from the Chinese authorities to produce the two SUVs at the plant and must seek permission to build new models. Provost said permission depended on the brand's sales growth. "The local authorities will continue to assess our performance on SUVs to deliver a license but there is no specific threshold," he said. Renault is working with Chinese suppliers to reduce production costs of the two SUVs it builds in China. "Now with the market in China getting tougher, the challenge of cost competitiveness is becoming a reality for everyone. We have to be competitive," Provost said. Renault's first step was to ensure quality from local suppliers. Now that Renault is satisfied with this, it can work with those suppliers to improve specification and reduce costs, Provost said.